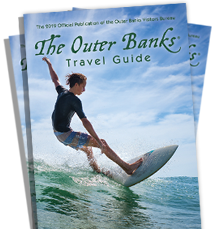 Outer Banks condos and townhouses offer a great alternative to hotel rooms or large vacation rental homes. Enjoy all the same amenities such as swimming pools, hot tubs, the beach, and more, while saving money on your vacation. Enjoy gorgeous views of the ocean and an abundance of outdoor activities such as boating, fishing and shelling. Condo and townhouse rentals on the Outer Banks are perfect for couples looking for a cozy week, or a small family looking for a rental with easy access to family activities and attractions.